The Theory of Light and Matter - Audiobook | Listen Instantly! Hailed by the Atlanta Journal-Constitution as a successor to John Cheever and Raymond Carver, Andrew Porter crafts plainspoken family dramas that audiences find completely enthralling. The 10 stories presented here further cement his position among America's finest short fiction authors. Download and start listening now!
" Great book of short stories. I am not usually a short story fan but much desription in a few pages can be powerful "
" Andrew Porter is a talented writer and an incredible teacher. Nobody deserves the success more. Can't wait for the novel. " " A beautiful and sad collection of stories that I couldn't stop reading. " " I read this in one day, two sittings on the train because I couldn't stop reading it. It was an experience both exhilarating and heartbreaking. I plan to buy the book and relive it again and again. You should do the same. " " Thanks Lillian for this great recommendation! Incredible book of short stories. " " Loved it. The stories were amazing. " " Porter is a phenomenal talent, and this one of those rare collections where every single story is perfect. I would recommend it to anyone. " " A great collection of short stories...this author is very gifted and has a special way with the emotions, creativity and art of short stories "
" Wow! This guy can write the hell out of a story. Best thing I have read in a LONG time. Do yourself a favor and read these stories. " " This is a nice collection of short stories. A friend gave this to me, and I am not familiar with the author. He seems to be an educated, trained writer, but I am not sure that he is inspired. The stories are well written but ultimately forgettable. " 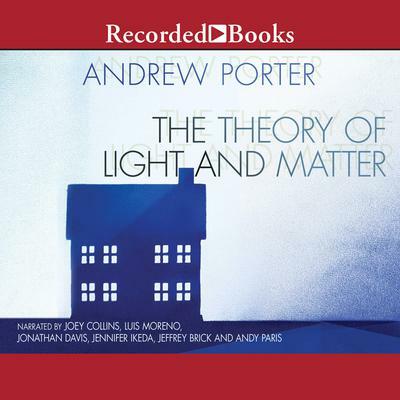 " Andrew Porter is amazing. He has line of sight to the central truths that make us who we are and builds out his stories from there. " Jeff Brick is a classically trained actor and audiobook narrator. He has performed off Broadway, as well as in regional theaters throughout the country. Luis Moreno, a voice actor, has narrated several audiobooks throughout his career.